Many people fear that weightlifting regularly is going to cause joint problems sooner or later. Fortunately, they’re wrong…if they take simple actions to protect their joints from injury. When I started lifting, I was pretty concerned with my joint health. I definitely didn’t want to become one of those old guys always complaining about his back, knees, shoulders, and elbows, warning the young’uns to take it easy in the weight room lest they become like me. On the other hand, I also knew plenty of middle-aged guys who never seemed to have joint pain and who had been lifting their entire lives. What gives? Luck? Genetics? Is weightlifting inherently bad for our joints and we just have to hope for the best? What do you think about weightlifting and joint problems and pains? Have anything else to share? At first glance, it would seem to make sense that weightlifting would, over time, give us joint problems. I mean how good can it possibly be for our joints to squat, push, and pull hundreds of pounds over and over? Wouldn’t it speed up the “wear and tear” on the joint and thus the onset of osteoarthritis (the degradation of the joints)? Interestingly enough, research doesn’t support these assumptions. Furthermore, about half of the subjects admitted they were using anabolic steroids regularly, which means their joints were under even more strain than usual from the excessive weights lifted. One other point worth noting is researchers found that previously injured joints were more susceptible to joint degeneration than healthy joints. So if you’ve sustained joint injuries in the past, lifting heavy weights week after week may aggravate them. These findings are in line with other research conducted specifically on the Squat and Deadlift–two of the most maligned, and–ironically–effective, exercises you can do. Even in extreme cases of squatting, such as powerlifters lifting 2.5 times bodyweight, the compressive forces placed on the knee and its tendons are well within its ranges of ultimate strength. Stress placed on the ACL is negligible considering its ultimate strength (in one study, the highest ACL force recorded when squatting was a mere 6% of its ultimate strength). Highest recorded PCL forces were well within natural strength limits as well. There’s plenty of research demonstrating that strength training, and squatting in particular, is an effective treatment for osteoarthritis, both in terms of reducing pain and improve function. Research conducted by scientists at the University of Waterloo used real-time x-ray imaging (called fluoroscopy) to watch the spines of elite powerlifters while they fully flexed their spines with no weights, and while they deadlifted over 400 pounds. With the exception of one subject, all men completed their deadlifts within the normal range of motion during full flexion. Ligament lengths were unaffected, indicating that they don’t help support the load, but instead limit range of motion. A study conducted by researchers at the University of Valencia found that the deadlift is an extremely effective way to train the paraspinal muscles, which run down both sides of your spine and play a major role in the prevention of back injuries. So then, if weightlifting isn’t inherently bad for your joints, why do so many weightlifters seem to have shoulder, knees, and lower back problems? First, you should know that weightlifting just isn’t a very dangerous activity. You’re far more likely to get injured playing just about any sport than you are lifting weights. That said, like with any physical activity, the occasional ache or strain is inevitable, but if you do certain things wrong, you can get hurt. And with weightlifting, the common ways to get hurt involve injuring a joint like the shoulder or knee or the lower back. These are the cardinal sins of weightlifting, and are what give certain exercises like the Squat, Deadlift, and Bench Press a bad reputation. Simply put, weightlifting is not a forgiving sport if you don’t “respect” it. That is, if you get sloppy with heavy weights, bad things can happen. And ironically, this doesn’t just apply to free weights–machines are just as “dangerous” when used improperly. So, take the time to learn proper form, especially on your big compound lifts and leave your ego at the door when you lift, and you’ll dramatically decrease your chance of getting hurt. Pushing yourself in the gym is good, so long as you always maintain proper form as well. Go for that extra rep on your Squat or Deadlift…so long as you don’t have to hunch over to do it or turn the exercise into a Good Morning. Try to hit that PR on your Bench Press…so long as you don’t flare your elbows out or roll your shoulders in the process. There’s also the matter of ignoring signs that it’s time to back off. “No pain, no gain,” right? Not really. Pain means something is wrong, and if you ignore it and try to push through, you can get hurt. As I said earlier, if you lift weights regularly, you’re going to strain muscles now and then. Maybe it’ll affect your shoulder or knee, maybe your back, or even something random like your wrist or brachialis. The key to dealing with pain is treating it like an injury until it’s better. Avoid exercises that aggravate it, ice it and apply heat accordingly, and let it heal. If that means no deadlifting or squatting for a few weeks, so be it. Find alternative exercises that you can do. Annoying, yes, but an injury that sets you back several months is much more frustrating. Ask the wrong “expert” about what you should do to relieve your joint pain and you’re going to hear drugs or surgery or both. The problems with anti-inflammatory drugs are they just mask the problem and long-term use is a bad idea. The problem with surgery is obvious: it’s a traumatic, risky experience that we would all rather avoid if at all possible. Well, short-term use of drugs can give some relief and some situations necessitate surgery but if yours doesn’t (and a good sports doc can tell you), there’s a good chance the following 5 pain-relief strategies can help. “Unsticking” soft tissues (muscles, tendons, ligaments, skin, and fascia) and improving movements patterns and range of motion can be very effective in relieving joint pain. The type of exercises that accomplish this are commonly referred to as “mobility exercises,” and the right ones can work wonders. Check out this article to learn more about how to use mobility exercises to reduce or even eliminate your joint pain. The most important part of recovery is rest. That doesn’t mean immobility but it does mean you have to not do things that are going to impair healing and recovery. Violate this simple principle and injuries can become chronic and debilitating. Once a joint has fully healed and you’re ready to start training again, it’s a good idea to start with lighter weights and see how you feel over the next several days (no pain is a good sign), and gradually work back into your normal routine. Ice helps you recover by reducing inflammation and swelling as well as internal bleeding from injured capillaries and blood vessels. As long as there is pain and inflammation, ice will help. Don’t apply ice for more than 15 to 20 minutes at a time, but you can rotate on and off all day. Heat stimulates blood flow, which helps your body bring nutrients to and remove waste products from the area faster. Heat shouldn’t be introduced immediately following an injury, however. The general advice is to ice only for the first 3 days to bring down swelling and, once this has been accomplished, introduce heat. Alternate between 15 to 20 minutes of ice and heat. As you know, abnormalities in soft tissues can cause joint pains, and research shows acupuncture can help treat this. Specifically, needling can help release “trigger points” in the body, which are tight, painful areas of muscle that refer pain to other areas of the body. For example, when you press on a trigger point in your neck, you might also feel pain in your shoulder (I’ve personally experienced that one). The key here is obviously the skill and knowledge of the acupuncturist. Look for someone trained in using acupuncture for myofascial release. Like acupuncture, research shows that massage is another effective strategy for releasing trigger points. This can not only relieve pain but can help prevent muscular problems from developing in the first place that can, in time, cause joint pains. Arnica gel is produced from the Arnica Montana plant and has long been used to treat inflammation and pain in the muscles and joints. 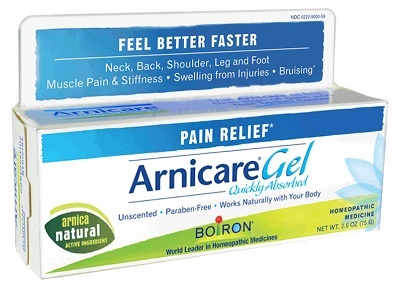 Research shows that arnica gel can be an effective way to reduce joint pain. In fact, it can be equally as effective as ibuprofen in alleviating joint pains associated with arthritis. Bone and joint health supplements comprise a multi-billion dollar market that is only getting bigger and bigger. When people are in pain and looking for a solution, they’ll buy and try just about anything. Before you jump on the joint supplement bandwagon, though, let’s go over your options. 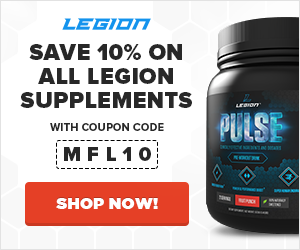 In the spirit of full disclosure, I want you to know that the supplement FORTIFY that I recommend in this article isn’t just what I personally use but is from my supplement line, LEGION. If you’re boning up on joint health (har har har), you’ve heard about glucosamine. It’s a supplement derived from shellfish and is often sold as a sure bet for relieving joint pain and improving joint health. Well, studies show that it can provide minor pain relief but is unreliable in this mechanism. Research also shows that glucosamine can reduce the rate of collagen loss, which is particularly relevant to people that run or participate in other high-impact activities regularly. Its collagen-preserving effects are relatively weak, though. 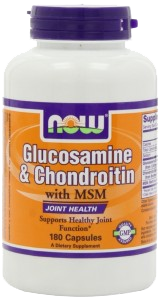 The bottom line is glucosamine isn’t worthless but also isn’t nearly as effective as many supplement companies claim. It’s not the most popular joint supplement because it’s the best. It’s just cheap to produce (great profit margins) and heavily marketed. If you want to get the absolute most out of a joint supplementation regimen and don’t have a budget, it makes sense to include glucosamine in it. Chondroitin is an major constituent of collagen and is frequently paired with glucosamine to treat the symptoms of arthritis. Research casts doubt on its effectiveness, though. Based on the scope and quality of the more recent research on chondroitin, my recommendation is save your money. MSM is a sulfur-containing chemical found in plants, animals, and humans. It’s often paired with glucosamine because of its antioxidative and anti-inflammatory properties. Studies show that MSM has promise for treatment of arthritis but more rigorous research is needed. Many people report that MSM relieves their joint pain so, like glucosamine, I think it’s worth including if budget isn’t a concern. If you are on a budget, however, then the following supplements will give you the most bang for your buck. Given its powerful anti-inflammatory effects and long list of additional health benefits, curcumin is on my “highly recommended” list for both joint and general health. And that’s why I included 500 mg of curcumin and 25 mg of piperine in each serving of my joint supplement, FORTIFY. That’s only the beginning of what FORTIFY has to offer, though. It also contains clinically effective dosages of three more molecules shown to alleviate joint pain and improve joint health. Typical commercial processing of collagen causes alterations to its basic form (denaturization), and research shows that denatured collagen has no beneficial effects on joint inflammation. Undenatured collagen, however, is a more natural form of the substance and research shows that the UC II® undenatured type II collagen is highly effective for regulating the immune response that inflames joints and destroys cartilage and bone, which further inflames the joints and starts a degenerative cycle. And the best part about undenatured type II collagen is that these effects have been demonstrated in people with arthritic conditions and people with healthy joints. It accomplishes this by “teaching” the body’s immune system to stop attacking collagen as a foreign substance, which is the cause of some arthritic conditions. Orally ingesting CII works almost like a vaccine, resulting in less of an inflammatory response to your own collagen because the body now recognizes it. The clinically effective dosages of undenatured type II collagen range between 10 and 40 milligrams. Undenatured type II collagen isn’t cheap but research shows it’s one of the most effective supplements you can take for preserving your joint health. I highly recommend it. That’s why my joint supplement FORTIFY contains 10 milligrams of undenatured type II collagen per serving. I chose the lower end of the clinically effective dosage because it isn’t clear if more is better. Research clearly shows that 10 mg is effective but not that two, three, or four times that amount is more so. Frankinsence contains molecules known asboswellic acids. Research shows that, like curcumin, boswellic acids—and one in particular known as acetyl-keto-beta-boswellic acid, or AKBA—inhibit the production of several proteins that cause inflammation in the body. What can I say…I’m a fan of this molecule. Its powerful anti-inflammatory effects are not only good for your joints but for your entire body, as systemic inflammation is a known contributor to many types of disease. FORTIFY contains 125 mg of boswellia serrata per serving. Research shows that the primary way grape seed extract helps protect joint cartilage from damage caused by the pro-inflammatory immune response that can develop into arthritis. A reduced risk of heart disease. Improved blood flow to the extremities, which can reduce the appearance of varicose veins. You get a lot for your money with grape seed extract. Like curcumin and boswellia serrata, it improves both joint and overall health, and is a worthwhile inclusion in your supplementation regimen. Like curcumin and boswellia serrata, grape seed extract improves both joint and overall health, and is a worthwhile inclusion in your supplementation regimen. FORTIFY contains 90 mg of grape seed extract per serving. 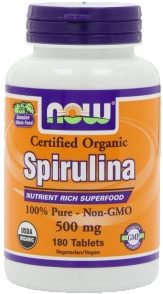 Spirulina is a non-toxic blue-green algae that is very similar to fish oil in its health benefits. The anti-inflammatory effects are what help with reducing joint pain, and animal research has shown that spirulina supplementation improves joint health. Omega-3 fatty acids (eicosapentaenoic acid–EPA–and docosahexaenoic acid–DHA) are an essential type of fat, meaning they can’t be synthesized by the body and must be obtained from the diet. Research shows that fish oil has powerful anti-inflammatory effects and can significantly reduce joint pain. If you don’t get enough omega-3 fatty acids in your diet (2 to 3 grams per day is a good target), I strongly suggest that you take a fish oil supplement. You want to know how the oil has been processed. 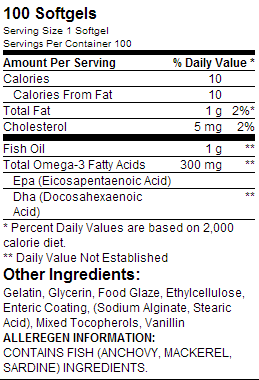 There are two forms of fish oil on the market today: the triglyceride form, and the ethyl ester form. The triglyceride form is fish oil in its natural state, and the ethyl ester form is a processed version of the triglyceride form that includes a molecule of ethanol (alcohol). While plenty of studies have proven the benefits of supplementation with fatty acid ethyl esters (FAEEs), research has shown that the triglyceride form is better absorbed by the body. One of the reasons for this is the ethyl ester form is much more resistant to the enzymatic process by which the body breaks the oil down for use. Another downside to the ethyl ester form is during the digestive process, your body converts it back to the triglyceride form, which results in the release of the ethanol molecule. You want to know the EPA/DHA content of each serving. Because of the varying quality of fish oils on the market, it’s important that you look at how many milligrams of EPa and DHA (omega-3 fatty acids) are actually in each serving. Lower quality supplements might have as little as 150 – 200 milligrams per 1 gram of fat, which makes them nearly worthless as you have to take far too much every day to get enough omega-3s (you want a minimum of 2 – 3 grams of omega-3s per day). A high-quality fish oil can be quite a bit more money than a low-quality one, but when you look at how much you’re getting for that money in terms of omega-3 fatty acids, the price makes more sense. 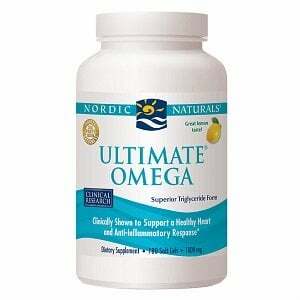 This product costs about $11, and comes with 100 pills containing 300 mg of omega-3 fatty acids each. This means you’re getting 30 grams of omega-3 fatty acids per bottle, and paying about 37 cents per gram. This product costs about $40, and comes with 120 pills containing 640 mg of omega-3 fatty acids each. This means you’re getting about 77 grams of omega-3 fatty acids per bottle, and paying about 52 cents per gram. 37 cents per gram of low-quality oil that isn’t likely to deliver all of the benefits you’re looking for vs. 52 cents per gram for the highest quality oil on the market that will. Research Review: Can L-Carnitine L-Tartrate Help You Build Muscle?